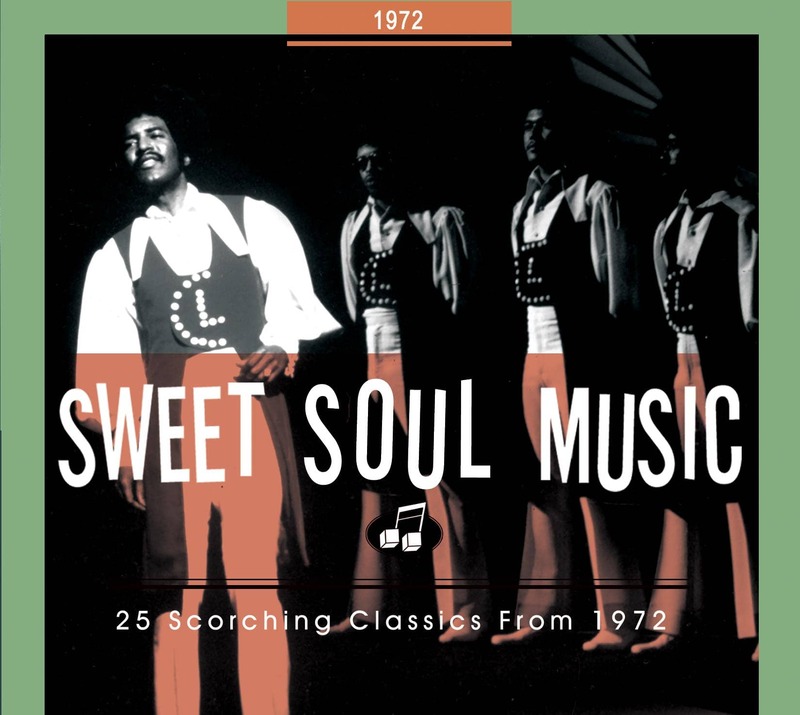 (Soul Music Records) 41 Tracks, 1971-1981 - 24 page color booklet with label shots and liner notes by Charles Waring (of Mojo and Record Collector magazines) - Compilation with all their 1970s chart hits on RCA Records. 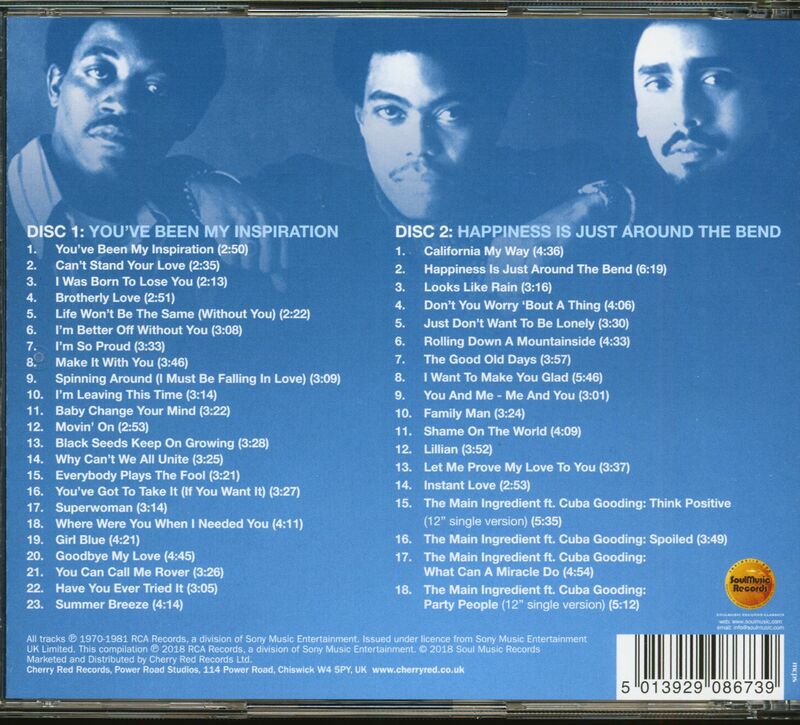 The Double CD also presents highlights from their RCA albums and rarities such as the two Luther Vandross written songs 'What Can A Miracle Do' and 'Party People'. Remastered! The tragedy of losing a member to leukemia didn’t stop The Main Ingredient from scoring their biggest hit of all the next year. The original lineup coalesced in Harlem. Indianapolis-born Donald McPherson, their primary lead, was born July 9, 1941. Tony Silvester, born October 7, 1941, came all the way from Colon, Panama. Luther Simmons was a native New Yorker, born September 9, 1942. They initially called themselves The Poets, waxing Merry Christmas Baby for Jerry Leiber and Mike Stoller’s Red Bird label in 1965. By ’67, the trio, now known as The Insiders, was signed to RCA Victor, where they wrote If You Had A Heart for themselves. One more name change the following year to The Main Ingredient (reportedly adapted from a phrase on a Coke bottle) and they were good to go. After a long spell of trying, the trio finally cracked the R&B hit parade in 1970 for RCA with You’ve Been My Inspiration, another group-generated theme. A revival of The Impressions’ I’m So Proud made a #13 R&B impact for them in the first weeks of ’71. 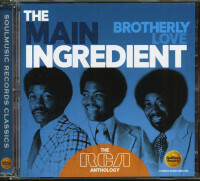 That was the year that The Main Ingredient broke big with the brooding, exquisitely orchestrated (by Bert De Coteaux) Spinning Around (I Must Be Falling In Love), a #7 R&B smash that spring. Black Seeds Keep On Growing did well for them that autumn, but celebrating likely wasn’t a priority. McPherson died July 4, 1971, leaving a big hole in The Main Ingredient. Cuba Gooding, Sr. came to the rescue, sliding into the spotlight with the trio as though he’d been there all along. Born April 27, 1944 in New York City, Gooding was on board in time to shine on his new group’s top seller of all. Everybody Plays The Fool, a #2 R&B/#3 pop blockbuster that went gold, retained the services of arranger/conductor De Coteaux and producer Winston ‘Buzzy’ Willis, an ex-member of the doo-wopping Solitaires. 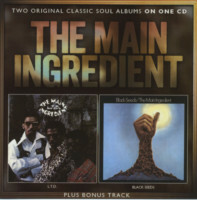 They created a classy backdrop for Cuba, Tony, and Luther (the song’s writers included veteran tunesmith Rudy Clark of Good Lovin’ fame and J.R. Bailey, formerly of The Cadillacs). The trio was producing itself when they went gold again in 1974 with Just Don’t Want To Be Lonely. They posted more Top Ten R&B entries with Happiness Is Just Around The Bend later that year and 1975’s Rolling Down A Mountainside. Gooding left in ’78, though they reformed and resigned with RCA in ‘80. ‘Panama’ Silvester died November 26, 2006, but Cuba still fronts a new Main Ingredient. His son, Cuba Gooding, Jr., found his own path to fame as a film actor. 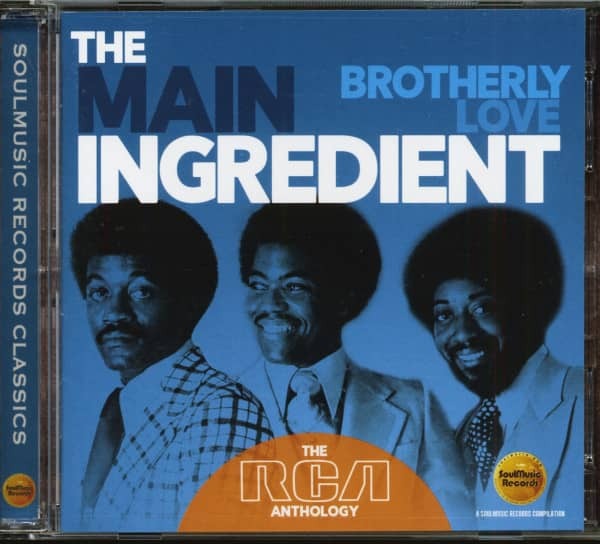 Customer evaluation for "Brotherly Love - The RCA Anthology (2-CD)"